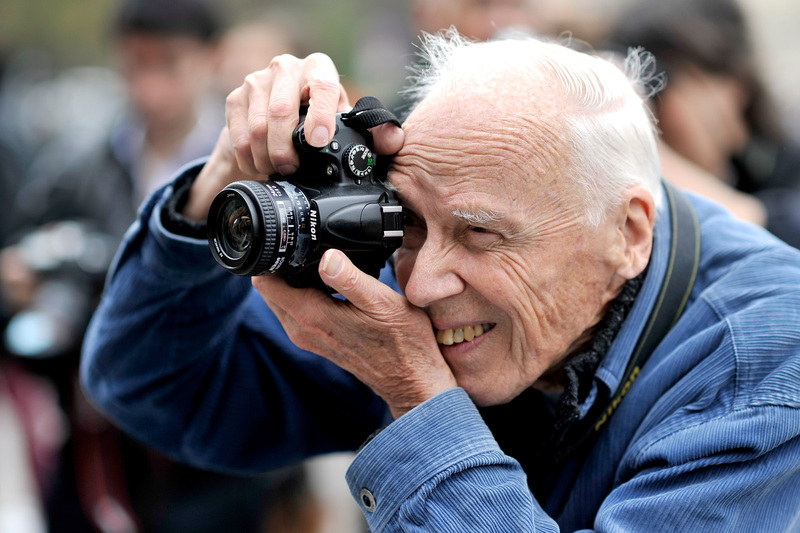 One of the world's great fashion photographers has passed away, and his death has spurred an outpouring of appreciation and memorial: Bill Cunningham of The New York Times, who spent nearly 40 years cataloging the street styles of New York City, died at age 87 on Saturday. He's widely regarded as having done it as well as anyone, and his presence is going to be sorely missed. But there was something distinct about his sense of style, too ― did you ever wonder why Bill Cunningham always wore that blue jacket? If you're familiar with Cunningham's work, then no more needs be said than "the blue jacket." Over the course of Cunningham's sprawling career ― his history with the Times ran from 1978 all the way up until June 3rd, when his final photo essay was released ― he had his own signature style. Namely, he always wore a bright blue French workman's jacket, an eye-popping bit of attire that could've just as easily been his own, personal uniform as he roamed the city. So, why did he always wear that same, familiar jacket? He reportedly spotted it at a hardware store (while traveling in Paris, naturally) and was enamored with the pocket size. As you can see in any photo of Cunningham's jacket, it has three wide, sturdy-looking pockets ― one over the left breast, and two more at waist level on each side. Needless to say, the extra storage and durability of a work jacket can be be a real boon to anyone whose job is as on-the-go as his was. Of course, for all the tangible, functional benefits of a no-frills, easily recognizable jacket like Cunningham's, part of the value comes when people begin to associate you with a certain look. As great a photographer as he was, the blue jacket allowed him to become a sort of understated fashion icon in his own right. Whether it's intended for convenience or for flair, committing yourself to one particular style for years and years is going to get people's attention. Obviously, though, Cunningham's impact is first and foremost as a photographer, and that's the realm of American culture where his death is going to leave a gaping absence. It's hard to imagine landing your dream job for any length of time, let alone getting to do it for nearly four decades. And in Cunningham's case, it was even better ― those who followed his work got to share in the reward, too.